Question 1 Draw the pattern of line of forces due to magnetic field associated with a current carrying straight conductor? Question 2 How the magnetic field produce changes with an increase in current in the straight conductor? 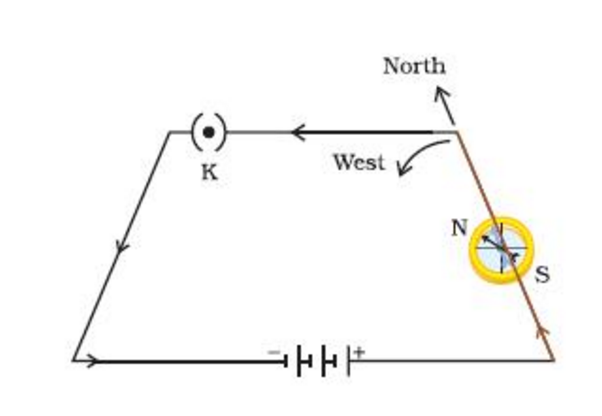 When a conductor carries current,a magnetic field is set up around conductor. 1)Take a long straight copper wire,two or three cells of 1.5 V each,and plug key.Connect all of them in series. 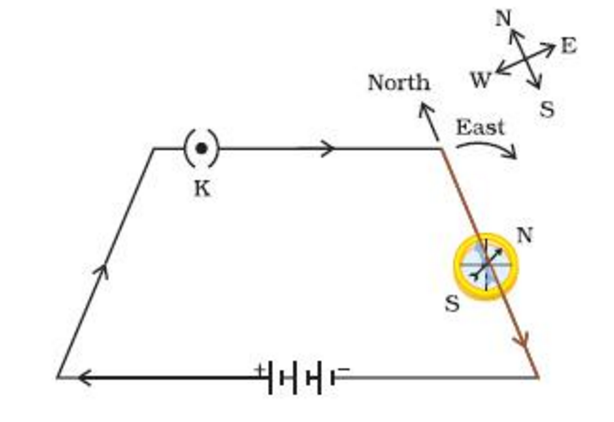 2)Place the straight wire parallel to and over a compass needle. 3)Plug the key in the circuit. 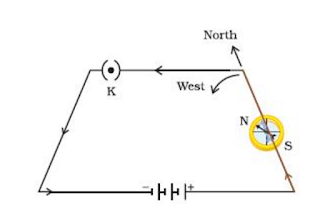 4)Observe the direction of deflection of the north pole of the needle.If the current flows from north to south,the north pole of the compass needle would move towards east. 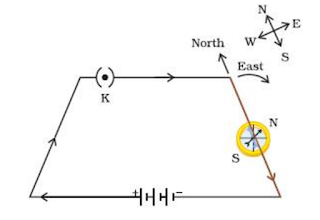 5)Replace the cell connections in the circuits.This would result in the change of direction of current through copper wire ie from south to north. 6)Now the needle moves in opposite direction ie towards the west.